Dr. Cutler has over fifteen years of experience working with children and families. Dr. Cutler has a nurturing, yet directive style that helps children and families to feel at ease. Her passion lies in helping children emotionally heal, and helping parents to play an integral role in this process. Dr. Cutler typically use Cognitive Behavioral and Play Therapy techniques, but her treatment approach will be tailored to what works best with your child. Dr. Cutler has specialized training and a particular passion for working with children and adolescents who have experienced physical and/or sexual abuse, neglect, or other trauma. She also enjoys working with children with attachment difficulties, including histories of foster care and adoption, and working with children and families who have experienced divorce. She also works with children coping with grief and loss, school difficulties, generalized anxiety and depression, and adjustment to other life stressors. Dr. Cutler earned her PhD in Clinical Psychology from the University of Toledo in 2001. She relocated to Chicago for her predoctoral internship at La Rabida Children’s Hospital, which included specialized training in the field of pediatric psychology, and children exposed to trauma. Dr. Cutler then completed a Postdoctoral Fellowship at the Chicago Children’s Advocacy Center (CCAC), where she worked with children and families who have experienced sexual abuse. Following the fellowship, Dr. Cutler helped to develop the Mental Health Program at the CCAC, where she continued to work with families providing therapy and crisis intervention, as well supervising and train staff, students, and community members, and overseeing further program development. Dr. Cutler began in private practice in 2007, and then expanded to a group practice. Dr. Cutler is also an Associate Professor at the Chicago School of Professional Psychology, where she teaches doctoral level courses including Child Trauma, Divorce and Child Custody, and Cognitive Behavioral Treatment. She provides consultation and supervision, and works with schools and community agencies as well. Dr. Hagerty joined the practice in April, 2015. As a graduate of The Chicago School of Professional Psychology, she has worked in a variety of settings with children, adults, and families presenting with a variety of emotional and behavioral concerns. Her past experience includes inpatient settings, community mental health centers, and a children’s advocacy center. Dr. Hagerty has developed an expertise in working with trauma, attachment disruptions, and sexual behaviors in children. She also enjoys working with couples, as well as adults. Erin has been trained in multiple evidence-based treatment models for children who have experienced trauma, and has also provided trainings on this topic in the community, including schools, professional agencies, and community groups. Erin has a warm, supportive, and collaborative approach that allows children and families to immediately feel at ease. She uses a strength-based, integrative approach to empower her clients. With over 12 years of experience working with children and families Angie Rush, LCSW, joined the practice in August 2015. She earned her Master of Social Work degree from University of Illinois in Urbana-Champaign in 1998. Angie has a warm, inviting and causal style of interacting with families, and works with parents and children together as a team. Angie’s areas of expertise include healthy sleep habits for parents of infants and young children. In our practice, her services in this area include the following: She provides consultation regarding healthy sleep habits for newborns, older babies, and toddlers, evaluations of sleep disturbances, and interventions to eliminate sleep disturbances, such as frequent night wakings, difficulty remaining in the bedroom, and bedtime refusal. Angie also provides therapy for children and adolescents. Her areas of specialty include working with children and their families around the following issues: Trauma/PTSD, Grief and loss, Behavioral problems, Sexualized behavior, Anxiety, Depression, Parent-child relationship problems, Parenting strategies, and Adoption issues. Angie truly enjoys helping parents understand their children based on child development and temperament, and helping children to regulate their emotions and behaviors in productive ways, resulting in a stronger relationship with more laughter and greater enjoyment. Dr. Hedglen-Smith has worked with children and adolescents with severe psychopatholgy, as well as histories of trauma and neglect. While in the process of earning her doctorate, Dr. Hedglen-Smith developed and implemented trainings for professionals working with children exposed to trauma, traveling to Africa several times, and significantly impacting the system of care. Dr. Hedglen-Smith’s clinical training has included work in schools, psychiatric hospitals, and outpatient clinics. She has received training in several evidence-based models of trauma-focused treatment, and has a particular passion for working with issues related to trauma and attachment, but also enjoys working with children coping with anxiety, depression, and life transitions. As a post-doctoral fellow, Dr. Hedglen-Smith has earned her hours for licensure, passed the licensing exam, and is currently awaiting approval from the Illinois Department of Professional Regulation to qualify as a Licensed Clinical Psychologist. In the meantime, she operates under Dr. Cutler’s supervision. Dr. Hedglen-Smith has a creative, relational approach focused on insight and the mind-body connection. She also utilizes a directive approach when necessary, relying on other techniques. Dr. Hedglen-Smith sees parents as an integral part of the treatment process, and facilitates family involvement throughout treatment. Dr. McFadden works with children, adolescents, and families struggling with a wide range of behavioral, social, and emotional concerns. She has worked in multiple settings, including colleges, psychiatric hospitals, and outpatient group practices. Dr. McFadden graduated from The Chicago School of Professional Psychology in 2015 and completed her Post-Doctoral Fellowship at Advocate Family Care Network-Childhood Trauma Treatment Program. In addition to working with children/adolescents who have experienced past traumatic events, her clinical interests include childhood depression, anxiety, low self-esteem, body-image concerns, divorce and separation, and stress management. Dr. McFadden strives to provide clients a collaborative, authentic, and supportive space to address their concerns, foster their strengths, and enhance their overall wellness. She takes an active approach and utilizes Cognitive Behavioral Therapy (CBT) to best meet the client's unique needs to promote lasting change. Through increasing self-awareness, strengthening skills, exploring alternative ways of thinking, and instilling healthier behavioral patterns, children, adolescents, and families can achieve their goals, as well as better manage and embrace life's complexities. Kristen graduated from The Chicago School of Professional Psychology in 2017 and has joined the practice as a post-doctoral fellow. As a post-doctoral fellow, she operates under Dr. Cutler’s supervision as she acquires her hours for licensure. Her clinical training has included work in therapeutic day schools, residential treatment, and community based outpatient clinics. In these settings, Kristen has worked with children, adolescents, and families with histories of trauma and neglect, youth and adult refugees of foreign conflict and torture survivors, and children and adolescents experiencing behavioral problems, emotional disturbances, depression, anxiety, and difficulties related to life stressors and adversities. In her therapeutic approach, Kristen encourages growth and healing by utilizing a relational and attachment-based framework to understand and become attune to the unique needs and strengths of the youth and families she works with. Kristen also values the integration of creative expression and body-based interventions into treatment to promote self-exploration, increase self-awareness, and strengthen attachments. In her work with children, Kristen often utilizes the creative interventions of expressive arts and play therapy and has experience incorporating yoga and mindfulness as supportive interventions. Kristen recognizes and respects the strength and courage it takes to seek help and share oneself and life experiences with another. As such, she strives to provide comfort, safety, and acceptance within the therapeutic relationship as she accompanies and supports her children and families on their journey of discovering their authentic worthiness and inherent strength to grow and thrive. In her work with children, Kristen is passionate about building a collaborative partnership with parents and believes that learning from parents about the development of their parenting values and styles is an influential support in engaging both the youth and parents in treatment progression. In her work she aims to enhance coping skills, improve communication, and identify and utilize strengths of her clients. Kristen’s interests include early childhood (0-5) and attachment-based work, family/parenting concerns, accompaniment in healing from trauma and neglect, emotional, social, and behavioral concerns, self-esteem difficulties, and coping with life transitions. 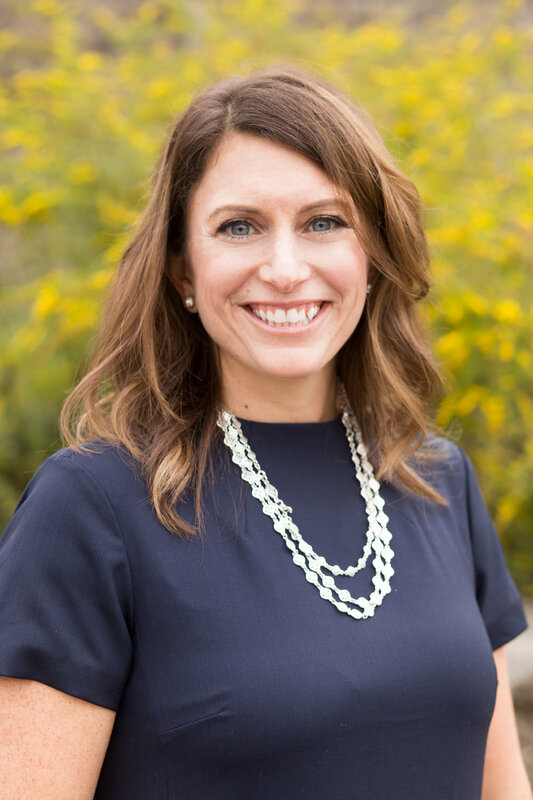 Through her prior clinical work in office-based settings, intensive in-home treatment, and as a school counselor, Kristin has gained extensive experience with adolescents and families. Kristin is a certified clinical therapist, supervisor and clinical consultant “expert” in the Multisystemic Therapy (MST) treatment model. MST is an evidence-based, family-driven treatment utilized with adolescents that are engaging in problematic behaviors at home, school and/or in their communities. She has advanced knowledge and expertise in family therapy, couples work, behavioral modification, and cognitive behavioral therapy. Kristin enjoys working children and adults with many different presenting issues such as depression, anxiety, behavioral problems, trauma, grief, family transitions, coping with chronic medical issues, and relationship conflicts. Kristin’s approach to treatment is strength-based and solution-focused. Kristin believes that all individuals have assets that can be leveraged to foster change, and that her role is to support clients in living a full and rewarding life. In her approach with children and adolescents, Kristin views parents and caregivers as experts on their own children, and essential partners in ensuring successful treatment. Understanding family dynamics, and promoting healthier patterns, are special areas of interest for Kristin, and she uses these in her therapeutic approach. Yael earned her Psy.D in Clinical Psychology from The Chicago School of Professional Psychology in 2018, and has joined the practice as a post-doctoral fellow. Yael has also holds Master’s degree in Education, and an Educational Specialist degree in Educational Psychology. Prior to returning to graduate school to earn her doctoral degree, she she worked as a school psychologist in various school settings in the Chicago area. Yael’s clinical training has included various community - based outpatient clinics, and early childhood welfare sites In these settings, Yael has had the opportunity to work with children spanning in age from early childhood to adolescence, as well as with families and adults. Yael’s interests include working with children that have histories of trauma and/or behavioral concerns (such as oppositional behavior or ADHD) as well as with children, adolescents, and adults who struggle with symptoms of anxiety and depression. Yael takes an active approach in utilizing Cognitive Behavior Therapy (CBT) with her clients, while also using attachment-based and family based interventions. Especially when working with youth, Yael strongly encourages family involvement in the treatment process and attempts to work and collaborate with the systems with which the child and family are connected. Yael also performs neuropsychological testing.